PostgreSQL stuff - Mostly about databases, programming, system administration and application deployment. Just ran into the issue with "Pooler Error: Unknown startup parameter" when connecting to PostgreSQL 9.0 using pgbouncer. A quick search turned up the following discussion pointing out that adding ignore_startup_parameters = application_name resolves the issue. 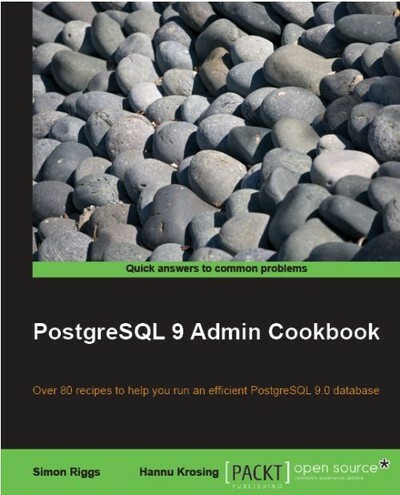 I was asked by Likesh Bhambhwani to review the PostgreSQL Admin 9.0 Cookbook written by Simon Riggs and Hannu Krosing. It will no doubt be an interesting read. Review will be posted as soon as I'm done! It's a joy when tools just work. I needed to create a new repository from a subdir of another repository while preserving history. Since I'm pretty new to mercurial and was not sure there was a clean way of doing this. The filemap is just a text file with files to include or exclude. In my case I need just to include the subdir I wanted. There was a small gottcha here since I once had renamed the subdir. I needed to include the previous name in the filemap to preserve the entire history. I ran pg_upgrade on a dev cluster of mine and it halted on some shared libraries I had forgot to install for the new cluster. Most of them were plain contrib that I'll continue to use so no problem there but there were some testing code I had been playing around with. I didn't know in which of my test databases I had used it so I had to find out somehow. This is what I came up with, a query to list what shared libraries are used in a database. With that information I could drop the functions depending on shared libraries I no longer used. To avoid running it manually on all databases I wrote some python code to do that for me. If it's of use to anyone I'd be more than happy to share that too. From the lecture Monitoring PostgreSQL Buffer Cache Internals by Greg Smith I created a simple bgwriter-print.py script to read, calculate and print the pg_stat_bgwriter analysis. It's a simple script but maybe someone else does find it useful to. Time to take PostgreSQL 9.0 Alpha4 for a spin! There's a bunch of new stuff to get to know about and try out. A little off topic but I'm very pleased to see that the timetable for Django 1.2 seems to be holding since they just entered feature freeze with beta 1. Among my favorite of features to come is, of course, support for multiple database backends. Other goodies are smart IF-tags in templates and template caching. This press release from Reuters about Red Hat investing in EnterpriseDB is great news. Postgres is an enterprise Java database, more suitable for carrying corporate data than the Web's consumer data. How do you interpret the first part? 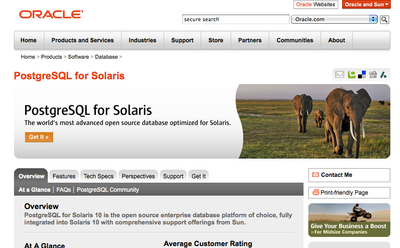 That PostgreSQL is a suitable database backend for enterprise Java or that PostgreSQL is written in Java? My thought was "If I didn't know about PostgreSQL I would think that it was a database system written in Java". What's your take? To be able to match hostnames in links and at the same time get the benefits of tsearch I created a small function to strip of html tags while keeping the link intact for tsearch to tokenize. The second regexp_replace is really not necessary since tsearch will ignore any HTML tags, or rather see them as XML tokens. -- attribute value so tsearch later can match host. --    attribute value and put it in parentheses. In an article at High Scalability this article explaining HBase on a conceptual level was referenced. It's a very good starting point for understanding the basic concept of HBase (and BigTable) and it's no more than a five minute read.